It's a classic tale – a log cabin in the woods becomes a warm welcomed retreat in order to leave the woes of everyday life behind. 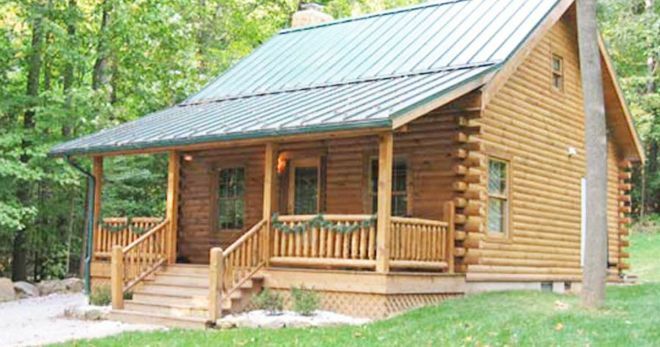 Head to this log cabin in Ohio for a digital detox, a weekend away with your partner, or just to fill your lungs with the smell of the great outdoors. This rustic retreat will help you achieve all of the above. 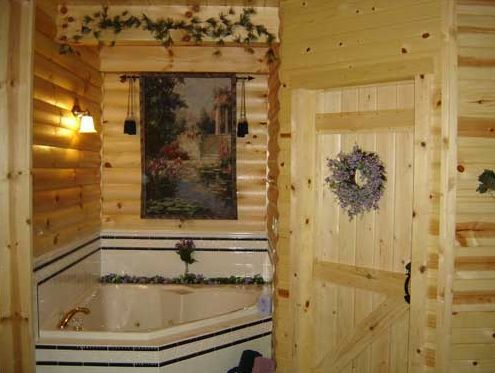 With the classic log walls, inside and out, this home is warm and cozy. Fit with a spacious living room, kitchen, and great master suite that includes a soaker tub – this cabin tucked in the Ohio countryside is sure to take you back to simpler times. From the outside you can see how this cabin boasts the classic looks – a golden facade, a big porch to sip some tea on, and surrounded by tall trees for maximum privacy. 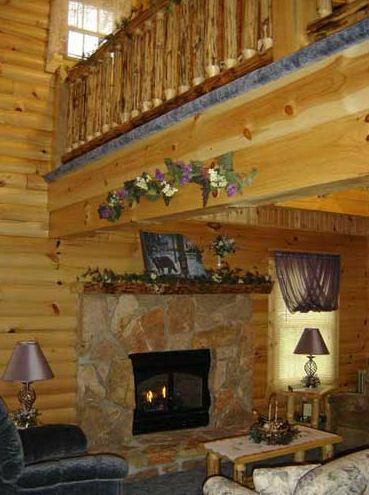 What log cabin would be complete without a roaring fire? Better yet, no need to go chopping wood on your holiday from home – simply click the button and your gas fireplace is roaring in no time. 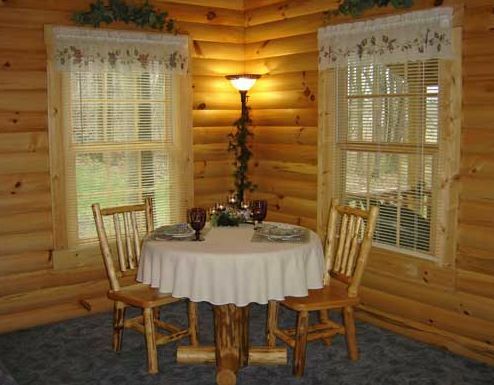 The rustic pine furniture is a fitting touch in this classic cabin - making this cozy corner the perfect place to enjoy a nice home cooked meal. This fully equipped kitchen is perfect for whipping up a nice home-cooked meal – or stowing your take away from a nearby restaurant. Either way, it's got everything you need to make your stay extra convenient. 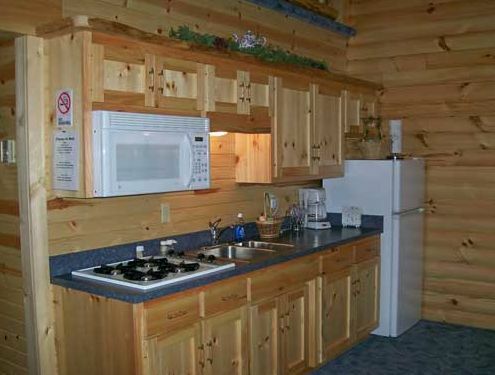 Plus, we love how the pine cabinets blend in with the timber walls. 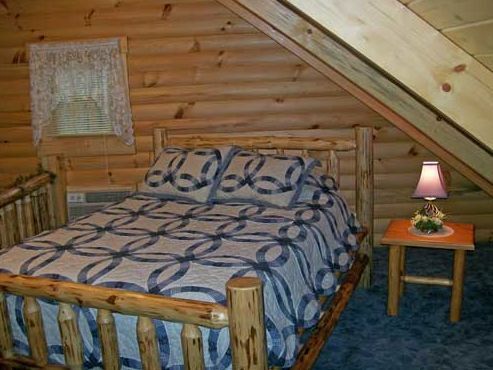 The master suite is tucked up in the loft area of the cabin. The loft is cozy and rustic, and you're sure to get all of that warm air from the fireplace below rising right up to the bed. Finally, the master bath. This double soaker tub is the perfect place to wash away the stress of the week before and get into total relaxation mode. SHARE this article with someone you know needs a getaway!